The restaurant is located separately from the apartments and offers a beautiful panorama onto the Monte Pendice rock faces, vineyards and olive trees. Wild, untouched hidden corners are harmoniously located next to biologically cultivated fields, in full respect of mother nature and the her traditions, in search of ancient flavours and atmospheres. 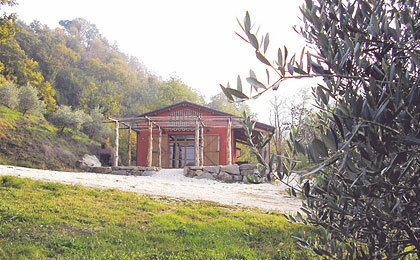 The restaurant offers biological products such as wine, oil, salumi, vegetables, etc...). Breakfasts and suppers on request.